Texas Wassail 2017 Raises Record Amount! 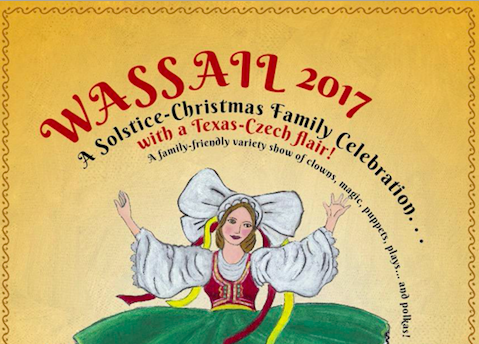 Wassail is a winter Solstice/Christmas celebration that has taken place in Austin, Texas, every year for the last 16 years, thanks to the inspiration and leadership of Darrel Mayer. Every year it is a sell out and this year’s unforgettable performances raised a record $4,575 for Kids for Kids. Kids for Kids is the only organisation in the world created specifically to help the forgotten children living in remote primitive villages in Darfur, Sudan. 2018 has not started well in Darfur, with Famine Disaster Relief warning that many areas are in ‘crisis’ because of failed harvest. People survive by what they can grow but Darfur is at the forefront of Global Warming. It is hard to realise that whilst we celebrate the new year, families in Darfur will be facing the prospect of their children starving. The generosity of all those who supported ‘Wassail’ will help Kids for Kids provide seed for the families, and fodder to keep their animals alive. Be sure to check out some of the videos by Videographer Liqing Zhao for a taste of Wassail!